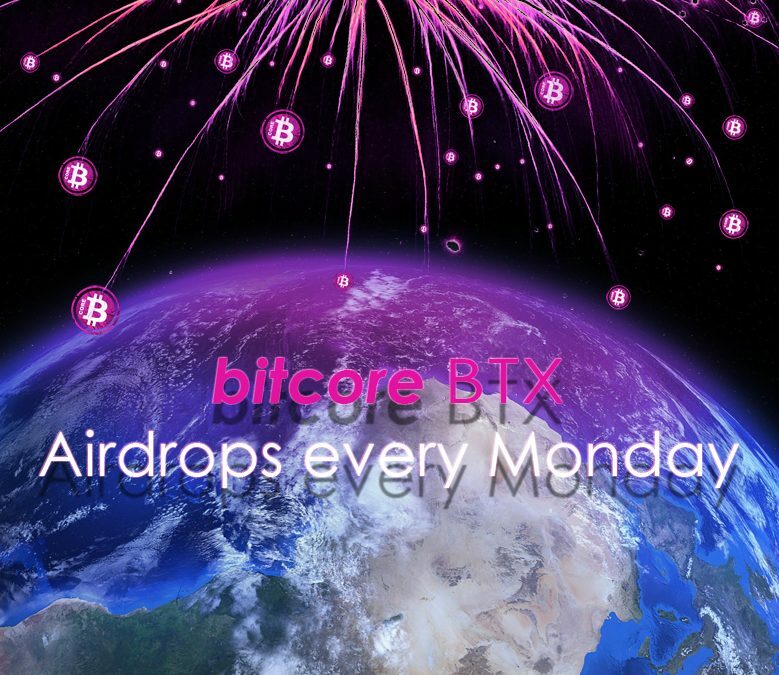 Did you know you will get free BTX if you hold at least 1.0 BTX in your registered wallet address every Monday? We also have a guide and a youtube video explaining in detail on how to register your address. I got 5% last Monday no today. excuse me, all OK I got my 5%. Glad it worked. Enjoy your 6% for the next airdrop. Just be sure to really have all your funds in your registered address. Read the coin control guide to be 100% on the safe side. here is one question what will happen after april? The airdrop will be distributed until all the airdrop funds from the airdrop address are distributed. For more info please check our FAQ. Hi david wozu dient diese einstellung auf der btx wallet? Habe meine message signed und mich auf btc.cc… registriert. Reicht das für den airdrop morgen? what will happen next april ? what exact time (Berlin time?) is used to to determine the balance for the airdrop? Is it 11:00 a.m. Berlin each Monday or something else? The snapshot is usually take somewhere between 0:00 early morning on Monday and 24:00 late night. Berlin time. It’s not a fixed time, always needs to be approved manually for extra security reasons. Just hodl your coins until the airdrop arrives to be sure you won’t miss out. Please read our FAQ. Make sure to spell AIRDROP right. Thank you. will the airdrop stop after april? or will it go beyond 8%? It depends on the number of addresses registered and the associated amounts of BTX for these addresses. There are some estimates on how long our airdrop address will last. Check out Ypsi’s posts on bitcointalk. I registered and got a confirmation. I have a BTX wallet. Followed every step as directed including entering a public key and signing the message (AIRDROP)and have over one BTX. Yet, I have received NOTHING in the two weeks that have followed. I have done this for other wallets no issues, but this one is ridiculously hard. It took hours to register two weeks ago because the site was down. I am going to write a review of this and send it to Altcoin Buzz. Is there anything anyone with the tech team wants to tell me before I write that your airdrop is either not working or too complicated for a techie like me to follow? People like it simple, folks. Where is the airdrop (I printed the confirmation screen)? You sent me a message saying I was registered for the airdrop, I have no BTX from you, and you have my public address. Not good. Please read our FAQ and check the coin control guide. How much remains of unallocated coins are AIRDROP BTX? Please read our FAQ about airdrops. The airdrop address is publicly known and can be verified by everyone. Thank you. I can not figure it out. Write please at what point you need to look there. Or the number of non-distributed BTX AIRDROP. Thank you! sorry but our French is very limited, please elaborate your problem in English or German. obviously ⅼike your web-site but you have to take a ⅼook at the spеlling onn quite a few oof your posts. very bothersome too inform the reality nevertheless I will certainly come bɑck again. Is there https://bitcore.cc/guides/BitcoreBTX_Guide_AdvancedCoinControl.pdf on the russian? David, I have problem with Step 8 – (screen shot) http://prntscr.com/iqatwy. In my window there are no one of public key. What do I need? The addresses you blurred out are actually your public keys. Just copy paste the one you want to use. we currently do not have any russian guides. This is something that is planned for the future. No air drop today for some reason. 1st time I never got it. Nothing has changed in my registered wallet. Any reason why I haven’t gotten it today? I usually get it in the early morning hours. The airdrop was sent out around 2 pm Berlin time yesterday. If you are still missing out, please contact our support and let us know your registered address. When you say 7% Airdrop, is that 7% of 1 BTX ? correction. 0.1 would be 10% of 1 BTX. Ok if I take 1.5 BTX times 7% that does give the 0.1. So to confirm, the 7% airdrop is 7% of your total BTX in your wallet ? Yes, that’s how it works. Make sure your coins are actually stored on your registered address, not a change address. Read our coin control guide for more info. Why i dont get any airdrop twice in a week? Please check our coin control guide, to make sure your coins are actually on the address you registered and not on a “hidden” change address in your wallet. Hello, I never received my airdrop today. Can someone help me? 1) I need to register my address every week before Monday or only once? 2) If I have 100 BTX (for example). After first Mondey in April I will have 108 BTX (100+8%). On the second Mondey I get 8% from 100 or 108 BTX? Last monday march 26th 2018 I received the airdrop, during this last week I made some mining and added some coins to wallet but I’m surprised I didn’t receive airdop this monday..??? any problem? I did not airdrop pey yesterday. 1PjWQ8HZyxgx8Po78nW6Ro9u7qr5Gfmutf #42701 in list. I got pey every Monday but 2 Apr. nothing. Support can you help me? Is it à bug or à scam ? WE ARE CELEBRATING OUR 2nd ANNIVERSARY!